Holiday gift-giving can be enough to break your budget. What do you do when you have so many people to buy for? Perhaps your office has added a gift exchange and you really don't want to spend that much. Finding gifts that are not too expensive can be a challenge. Here is a list of five holiday gift ideas under fifty dollars. They are so affordable you may even buy one for yourself. 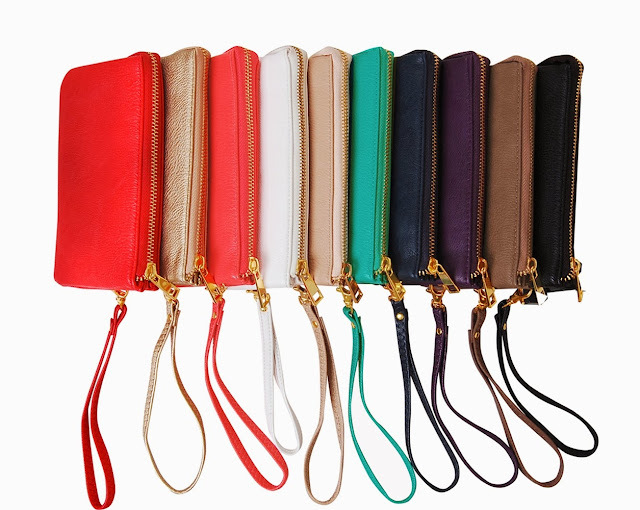 Wristlets are usually bigger than change purses but smaller than a wallet. They are the perfect gift that fits under the fifty dollar budget and they also make great stocking-stuffers. If you want to step it up find a designer wristlet from popular brands like Coach, Michael Kors or Tory Burch. It's a smart and simple gift anyone would appreciate. Kate Moss collection with Carphone Warehouse. Most of us can't live without all our technology items. So why not have them looking as stylish as we do? She might already have a cover for that tablet, but it's always great to be able to change the outfit of your device whenever she pleases. With a variety of colours, textures and fabrics available, finding a design that suits her personal style will be the fun part of choosing this gift. 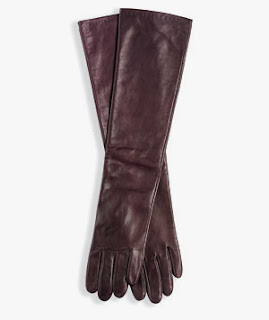 A pair of long leather gloves are elegant and classic. Most women would love to own a pair of leather gloves but they are often an expense one doesn't make. Long gloves that sit just below the elbows are just the boost of class a woman needs when wearing the cape trend of this season. On an evening out these are what finish off a look rather than a pair of wool mitts. Gift her a pair in black, charcoal or chestnut brown. Sometimes the most interesting gifts come from places you would never expect. The website Etsy.com has some of the most interesting custom made items available. It also gives you an opportunity to know you're supporting a small business in growing their company. 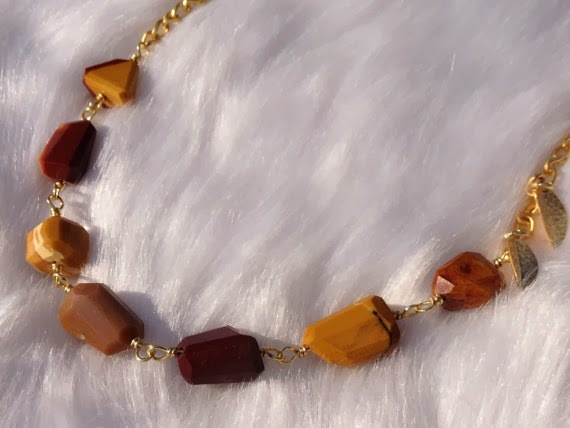 Faceted Mookite Nugget Necklace, Intentional by Sue Melnick. Giving the gift of time can be as easy as stepping into your favorite department store. You will find an assortment of brands with styles on sale for under $50. You can find something special without breaking the bank. Stores like Macy's have a number of style options to fit your budget while still packing quality. 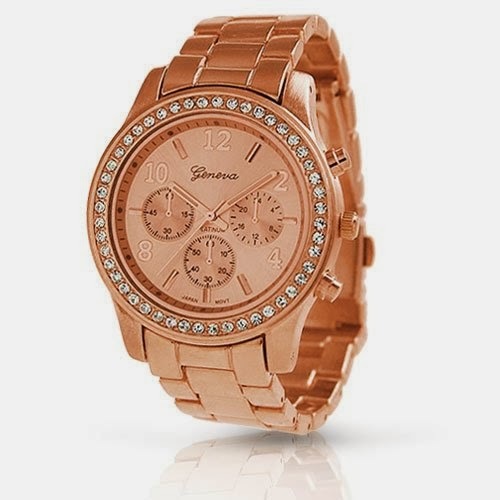 You can also visit websites like amazon.com to pick from some of the latest trends like the rose gold colored style by Geneva pictured above.